Whether it's party night or not, what to make for dinner is still one of the largest conundrums of our busy days. The Gold in me prefers meal plans, grocery lists, dinners timed to avoid hangry tears, and a meal in which everyone is so excited to eat that they get to eat dessert afterwards. The Momma in me says "Really? I have to make another mess that I'm going to have to clean up later?" The struggle is real. Especially on nights I have parties going on. Why should our hips have to suffer through one more $5 pizza just because it's party night? Trust me, this happens all too frequently at our house. It's an easy fix, but when the top button on my jeans becomes a little too snug, I know it's time to take a stand for healthier eating before I end up having to make a rather depressing shopping trip. Shopping is my favorite hobby, it's what gets me through the tough times, but I draw the line at anything that takes the fun out of it. Having to buy the next size up in jeans?? Yeah...Not. Cool. How do we conquer this vicious cycle? By remembering the Boy Scout motto...Be Prepared! Let's get organized and think of some ways to plan ahead so when party night rolls around, we got that healthy dinner covered! Now I'm from Arizona, which means I've had my fair share of amazing Mexican food. I have yet to find a restaurant that measures up to my unusually high standards of what good Mexican food should taste like. So I must make my own. I've tried dozens of chimi, enchilada, taco, tostada, etc. recipes but I haven't been able to find one I liked enough to make twice. What I'm about to share with you is my secret to happy taste buds. It's amazing fresh out of the oven and as a leftover. You can even freeze it for a quick and handy freezer meal. 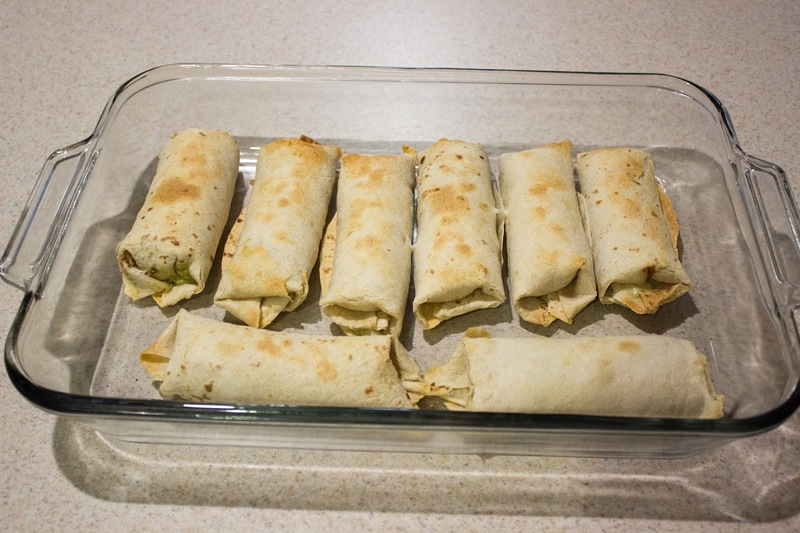 You can dress them up with cheese and turn them into an enchilada, or leave them alone for an amazing crunch. Either way, this sauce is fabulous and my favorite dinner ever. Ok, enough drooling! Let's dive in so we can stuff our faces! Melt 2 Tbsp butter in a skillet over medium-high heat. Add 2 Tbsp flour until golden and bubbly, usually about 2-3 minutes. Slowly stir in 1 can (2 cups) of chicken broth. It will be tempting to pour the whole can in all at once. Pouring it all in at once makes it too watery and it takes forever to thicken up, so it’s worth the effort. 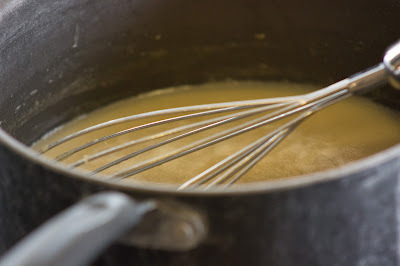 Bring mixture to a boil, then reduce heat to medium-low and simmer for about 5 minutes. Stir in the sour cream, cumin, salt, garlic powder, and pepper, whisking if necessary to remove any lumps. 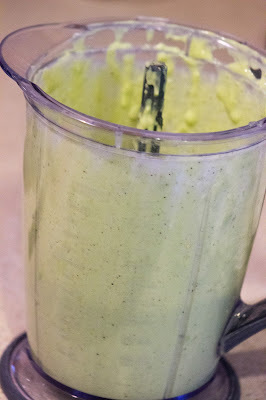 Remove from heat and transfer mixture to a blender or food processor. Add avocados, cilantro, and lime juice. Pulse mixture until it is smooth and well-blended. Be very careful blending hot liquids – the heat expands! Remove the lid occasionally so that the heat can escape. Time to assemble the tortillas! My oldest daughter calls it “decorating” the tortillas! Lay the tortilla flat. Spoon 1-2 tablespoons of the Avocado Cream Sauce in the middle of the tortilla. Put 2-3 tablespoons of shredded chicken and 1-2 tablespoons Monterrey Jack cheese in the middle of the tortilla. 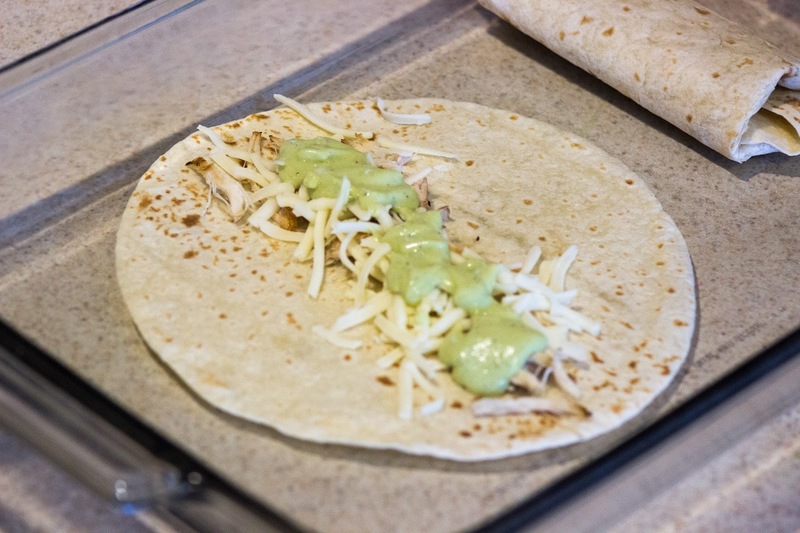 Wrap the tortilla burrito style and place it on an ungreased pan. Repeat for remaining tortillas. 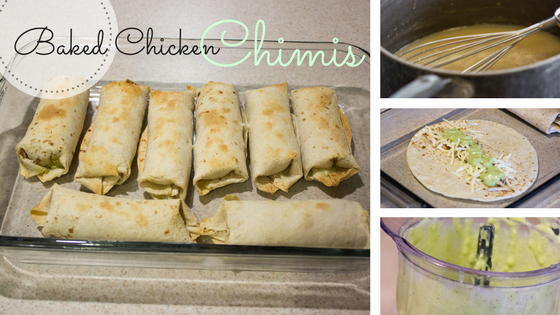 Depending on the amount of chicken you use, you can usually get 8-10 chimis. 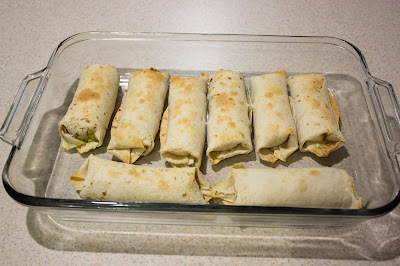 For anyone wishing to transition these chimis into enchiladas can easily do so simply by spreading the Avocado Cream Sauce over the top of the enchiladas before baking. It is delicious either way, but we love to have these as leftovers the next day so we prefer chimi-style so the tortillas don’t get soggy the next day. 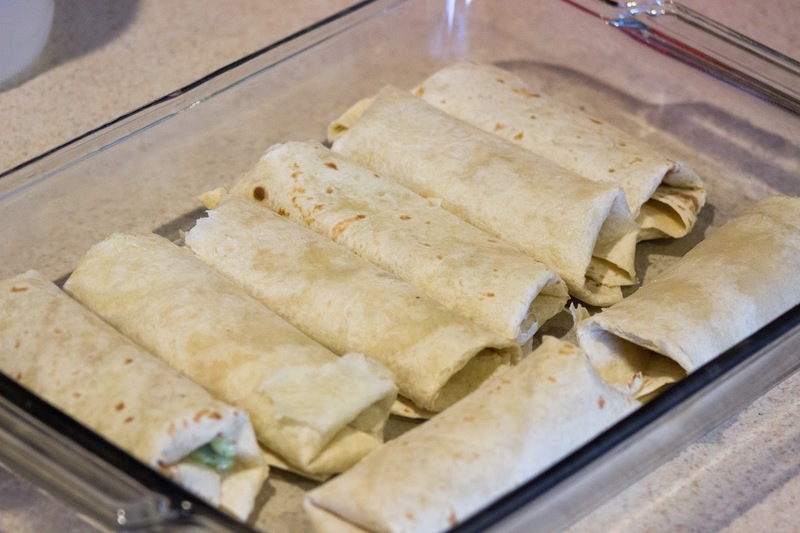 Drizzle remaining sauce over the chimis and add your favorite toppings, such as sour cream and salsa. Serve and enjoy! Make the chicken the day before to cut down on prep time. This is a great solution when you know you’re going to have a busy week! Melt butter over the tortillas before baking to give them an added kick of flavor. These are amazing for leftovers! Just stick them in the oven at 350 degrees for about 10-15 minutes to keep the texture of the tortilla nice and crisp! Don't be shy with toppings! My favorite is homemade pico de gallo and an extra squeeze of lime!